Ivan Michailovich Kontzevitch was born in 1893 in Poltava, Ukraine. He was the eldest of five children. His father, Michael Ivanovich, graduated from the Department of Natural Sciences in Warsaw University and became a tax inspector. 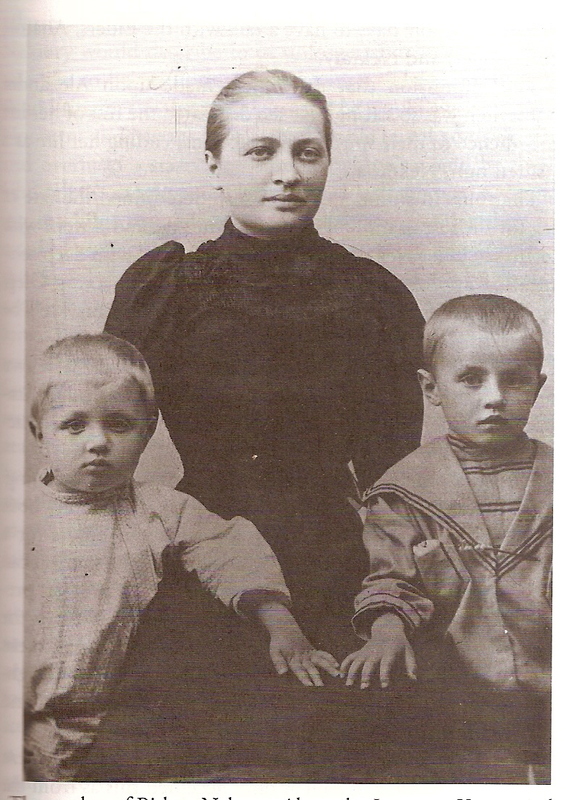 Ivan’s mother, Alexandra Ivanovna Lisenevskaya was a Carpatho-Russian and the daughter of a judge. Alexandra finished secondary school and then married at a young age. She is described as a “born teacher” and she knew how to bring up her children without punishments “unless a deliberately evil will” was revealed. Ivan related that his mother was able to explain to the children the harm of smoking and none of them ever did smoke. In the early part of his childhood he lived in Latvia until the family moved to Mirgorod which was near Ivan’s birth place. At the end of his childhood the time came for further education but no suitable institution was found in the near vicinity so he was sent off to the Poltava Imperial Gymnasium. He graduated in 1914 and went on to study in the Mathematics Department at the University of Kiev. I received your letter, and with great happiness I’m hastening to write you a reply. I fully understand your grief, and sympathize with you. And I have an answer for you, in order for you to benefit and have future contact with your son. Spiritism is demonic! Orthodox Christianity is your answer. I’m sending you my book, called Calm Havens for the Respite of a Suffering Soul. It is mostly about Optina Monastery. I have just converted from the demonic path to the only path whereby we obtain a future life in heaven with those we love. I strongly urge you to visit Optina. Alexandra did not know what to expect from the book she received but began to read it anyway. 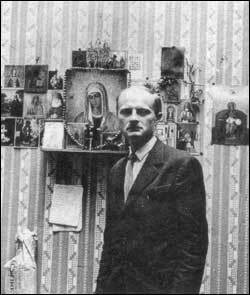 At the same time, Ivan was sent to Optina in order to report back to his mother what he found there. His first stay lasted for two months. He wrote back to his mother saying: “All the monks here walk as if on tiptoe before God. The Elders are wonderful. 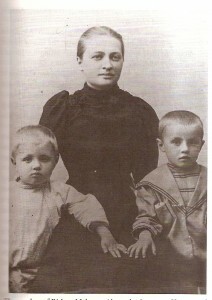 Take the children and come to Optina at once.” The following summer Alexandra packed up the remaining three children and headed off for Optina remaining in the guesthouse for the summer. Here the family would read spiritual books, roam the woods, pick berries and mushrooms and, above all else, wait whole days to have talks with Elder Anatole the Younger and Elder Nektary. The impression that the elders made on Alexandra was so strong that she dedicated the rest of her life in obedience to the spiritual instruction of the elders and also ended her life as a tonsured nun. At another time, Ivan wrote about his initial experience in Optina saying: “The Monastery and the Elders… produced on me an unexpected, irresistible impression, which is impossible to communicate in words; it can only be understood by experiencing it. “Here one could clearly sense the grace of God, the sanctity of the place, the presence of God. This evoked a feeling of reverence and of responsibility for one’s every thought, word, and action, a fear to fall into error, into deception, into self-trust and self-reliance. Every day Ivan visited the skete of the Elders and listened to the instructions that the elders gave to those present. As often as he listened to the answers of the questions of those he was there with, Ivan himself did not receive any special time from the elders. Instead, he was given to Fr. 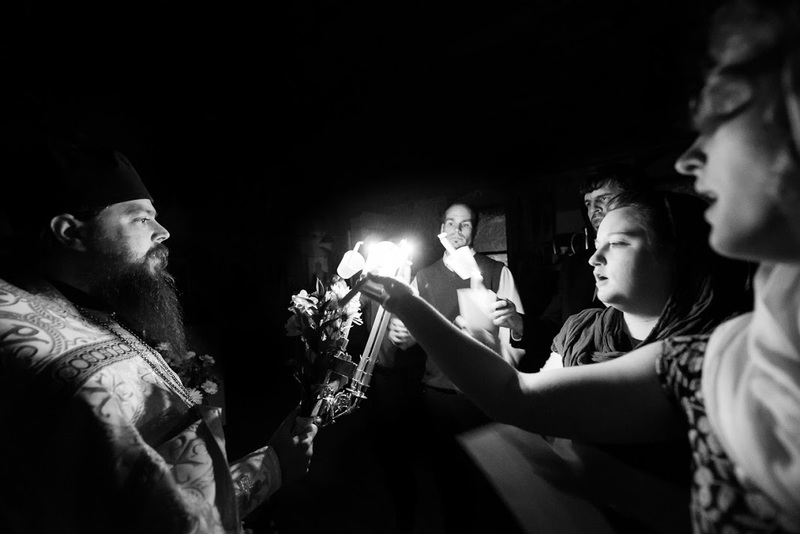 Joseph, a man experienced in the spiritual life who had lived in Optina for decades. In the world Fr. Joseph had been a banker and a man of broad education. For the course of two months, following the church services, Ivan would be invited over to Fr. Joseph’s cell where he would have the spiritual world opened up to him. Following the liquidation of Optina and the eviction of Elder Nektary to Holmische, Ivan would stay in contact with the Elder through his mother who visited Elder Nektary often until his repose. His mother’s letters served as material for Ivan’s compilation of the life of Elder Nektary which he would write later on in life. Alexis Military Engineering School where he received “straight A’s”. He was promoted to officer and was transferred to Bulgaria and then to France where he studied at the Sorbonne in the École Supérieure d’Electricité and then at the St. Sergius Theological Institute. While there he worked as an unloader in a merchandise station. In France he was in constant correspondence with his mother to seek counsel of Elder Nektary for his life. The Elder guided his every step. Regarding Ivan’s schooling, the Elder suggested to him that he should go to school without fail. Elder Nektary even allowed him, in case of necessity, to be absent from the Divine services, except for the twelve major feasts. At the same time he was strictly forbidden by the Elder to have any thoughts of accepting the monastic tonsure, quite unlike the case of his mother, whom the Elder ordered to prepare herself for the tonsure, and also of his younger brother, who became a bishop (Bishop Nektary of Seattle, who reposed in 1983). While studying at the Sorbonne Elder Nektary advised Ivan to combine his studies with attendance at the lectures at the St. Sergius Theological Institute. He was not able to do this immediately but soon enrolled and in time completed another degree here. During this time he grew in his theological understanding and in his abilities to write. Upon finishing at the Institute Ivan submitted a two-part dissertation explaining what “Eldership” is and the path to it. At that time he was unable to offer an exhaustive answer to his theses but later, in 1952, he was able to elaborate further on the topic in a book that he wrote entitled, The Acquisition of the Holy Spirit in Ancient Russia. In this work he set forth the history between Russia and Byzantium, the sharing and growth of the Orthodox tradition in Russia from the later and how the ascetics in Russia came from Byzantium or, in some cases, were from Russia and traveled back and forth maintaining that spiritual life between the two. This union of Orthodox cultures was broken with the invasion of the Turks. More specifically, Ivan described the role of Eldership noting that in the early centuries of Christianity there was no need for its clear definition as it was not a secret or something that was kept from people. After the fall of Byzantium Patristic literature fell into disuse and Byzantine lands, including Russia, became more permeated by Western literature and these teachings were almost forgotten. During the eighteenth century the teaching on Eldership became more widely known and a resurgence of it began through such Saints as Paisius Velichkovsky, Seraphim of Sarov, Leonid of Optina, Ambrose of Optina and others. Although with the rise of the teaching on eldership and the living examples of it there also came persecution and scorn for what some thought was a novelty, what also started appearing were overly zealous priests who imagined themselves to be Elders and as a result caused much spiritual damage to those who sought them out as well as to their own souls. 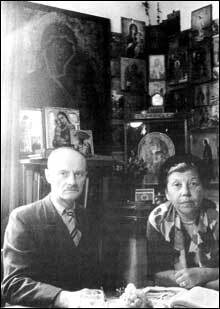 In 1935, while studying at the Sorbonne, attending lectures and writing his thesis, Ivan met Helen Yurievna Kartsova. Prior to their first meeting Helen was going to make her vows to enter a convent but was prevented from doing so. Helen Yurievna was born in St. Petersburg in 1893 and was raised, after the premature death of her mother, by her aunt, Helen Ozerova-Nilus, a lady-in-waiting to Empress Alexandra Fyodorovna (the Royal Martyr Tsaritsa Alexandra). Her uncle was Sergei A. Nilus, the publisher of Nicholas Motovilov’s notes on St. Seraphim of Sarov and the “Acquisition of the Holy Spirit” and he was to have a formative influence on Helen. Sergei had spent many years living at Optina Monastery with his wife in the “Leontiev House.” Here he was given access to the Optina archives and published many works that incorporated them and also expressed the life of Optina. His most famous work during that time was the publication of his journal entitled, On the Banks of God’s River. Another uncle was David Ozerov, the chief assistant to St. John of Kronstadt in the work of organizing the latter’s ‘House of Industry.’ Thus both Ivan Mikhailovich and Helen Yurievna were influenced by Optina monastery and together devoted their lives to the teaching of its Elders and its life. In June 1935, Ivan and Helen were married and the first purchase they made was a twelve-volume set of the Lives of the Saints written by Saint Demetrius of Rostov and then visas in order to travel to the Holy Land. It just so happened that due to immigration laws Helen was not able to go and so they planned for Ivan to go alone to Mount Athos. Together Ivan and Helen coloborated on The Acquisition of the Holy Spirit in Ancient Russia. While he was working as an engineer, Helen would be researching in the theological libraries of Paris in order to compile resources for their work. They lived in the south of France where Ivan was busy bringing electricity to various remote areas. Throughout this time they would pilgrimage to the ancient catacombs, monasteries and caves of 6th century Gaul. In 1952, after the publishing of their book Ivan accepted a position of Chair of Patrology at Holy Trinity Seminary in Jordanville, NY. For the publication of their book they had to sell their property, all of their possessions and even do the proof-reading themselves as they could not afford to pay for someone to do it. They left for America with barely more than the boxes of their newly printed book. 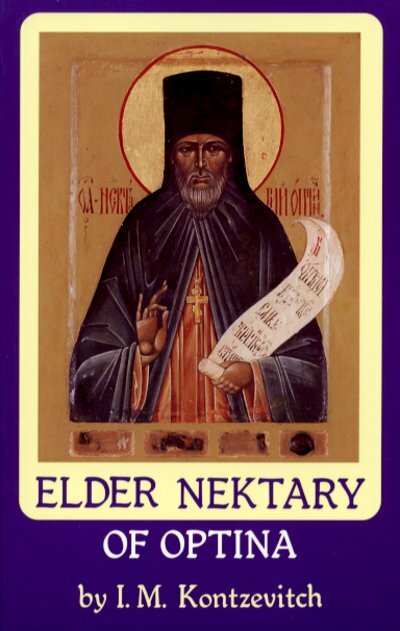 It is while being a Professor at the Holy Trinity Seminary that Ivan wrote the Prima Vita of Elder Nektary of Optina. He also wrote the abstract for the Patrology courses and many monographs of saints. In 1954, Ivan and Helen moved to San Francisco and lived in an apartment with Ivan’s brother, Nektary Bishop of Seattle. This was a very difficult environment for them in comparison to France and it took its toll on their creativity. The home was small, there was a lot of traffic and it was generally noisy due to the city life. They moved into their own home eight years later in Berkeley and in that same year Ivan wrote a book entitled The Sources of the Spiritual Catastrophe of Leo Tolstoy that articulated Tolstoy’s life and it’s transformation as being reflective of the transformation and movement away from the Christian heritage of modern Russia. During this time Ivan also gave many lectures at the local St. Vladimir’s Youth Organization. Here the Kontzevitchs met and became friends with Eugene Rose and Gleb Podmoshensky, the future Frs. Seraphim and Herman. From the beginning of the publication of The Orthodox Word, Helen was an active contributor. She submitted articles and comments and every week she sent detailed letters. Frs. Seraphim and Herman, “Our Links with the Holy Fathers: The Definition of Eldership; In Memoriam: Ivan M. Kontzevitch,” The Orthodox Word (1980), 275. I.M. 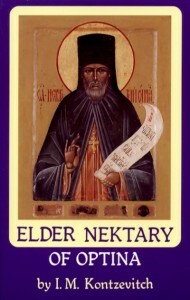 Kontzevitch, Elder Nektary of Optina (Platina, CA: St. Herman of Alaska Brotherhood, 1998), 310. Bykov’s book includes a testimony of his conversion and the role of Optina and especially of Elder Nektary in his life and has been translated into English in part and can be found on pages 287-305. Not the Saint Joseph of Optina who is commemorated on May 9. I.M. 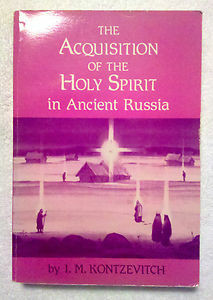 Kontzevitch, The Acquisition of the Holy Spirit in Ancient Russia (Platina, CA: St. Herman of Alaska Brotherhood, 1988), 16. Abbot Herman, “Helen Yurievna Kontzevitch: Righteous Orthodox Writer,” The Orthodox Word (1999), 270. I love this article, it is so great to read about someone like IM Kontzevitch. thank you for posting this inspiring article. His Acquisition book is one of the best I have read.